Usually when KloHäuschen has to introduce itself, it explains, at first, that it is neither an off space nor an exhibition room, neither a gallery nor Munich’s smallest museum. So what it is? The space of KloHäuschen is a particular room. A rest room. The walls tiled almost to the top in vanilla yellow. Six rounded urinals, whose style recall their hour of birth almost 100 years ago. And a wall, consisting out of transparent glass bricks, to screen the user from view (among all those transparent ones are two yellow and one blue glass brick). And six holes in the ground that continue into the unknown. And always running water inclusive. KloHäuschen is the small room in the front corner of the public rest room facilities of Munich’s wholesale market (wholesale market hall) at the west entrance. In the public rest room facilities are public toilets for the employees of Munich’s Großmarkthalle as well as its customers. KloHäuschen is the former men’s urinal. Other than the rest of the rest room facilities, the KloHäuschen is only accessible from the outside. And since the 1990s it has been locked. Slept something like the sleep of the Sleeping Beauty. Until it was discovered by Anja Uhlig/realitaetsbüro. The beginning of, let’s say, a love story. 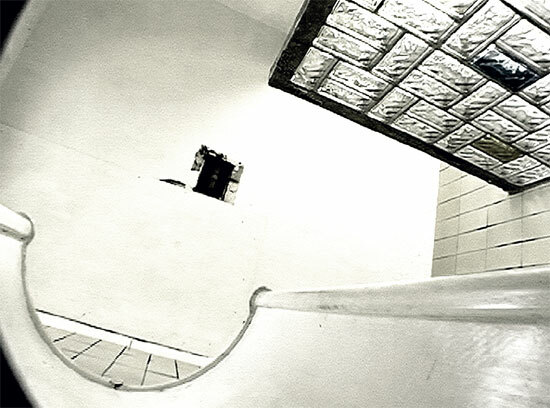 It was due to the tiles, a vast amount of charm and a secret… It was due to itself. Since 01.01.2009 realitaetsbüro is renting the 8 sqm room. With the Arrangements to ensoul the old public toilet at Munich’s wholesale market it puts the room in usage. It invites guests to see the KloHäuschen in its natural beauty, to identify an interaction with their own work, and to make an always newly formed room visible. Often the guests are visual artists, but also others are invited like scientists, theatre people, architects, musicians, philosophers, authors, and performers. And they are always invited to work in collaboration with the space of the KloHäuschen. To discover its possibilities. To discover their mutual possibilities. To touch it. And to play with it. Thus the KloHäuschen turns into a sloth’s cage, a holiday home, a kitchen studio, a cave, the Bulgarian Pavilion of the Venice Biennale, a forest, a lecture theatre, a recreation area. It sparkles or drips or snores. It can be seen from all sides at the same time. It has been danced with, knitted all over it, being flooded. And sponged. Meditated, polished, enlightened, and it has been set music to it. And exactly every two years a curator comes to the KloHäuschen Biennial with an exhibition. And this settles the question to the exhibition space, the gallery and the museum: KloHäuschen doesn’t serve as a space where artefacts can be displayed, sold, or archived. That’s not the point for the KloHäuschen. And this is why it is free. It is a free space, ready to devote itself to its guests and play with them – publicly. KloHäuschen can be visited and looked into at any time from the outside. 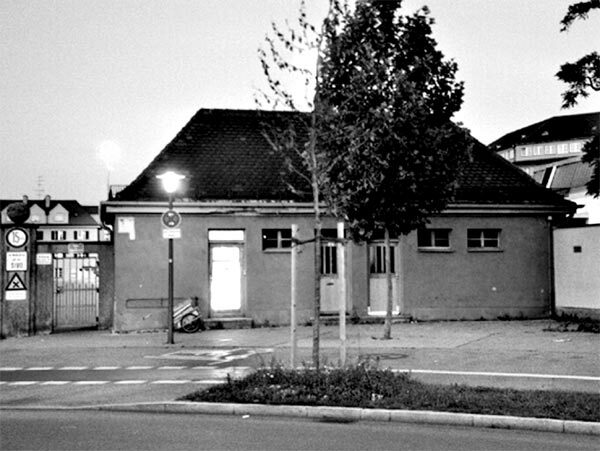 The Arrangements to ensoul the old public toilet at Munich’s wholesale market are being supported by the cultural department of the City of Munich.